BLOOMINGTON, Ind. 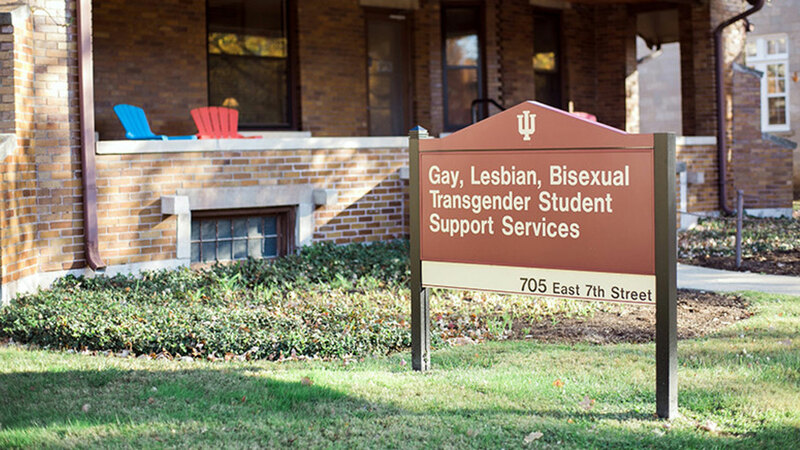 -- To reflect the evolving sexual and gender identities of students, Indiana University’s Gay, Lesbian, Bisexual, Transgender Student Support Services Office has officially changed its name to the LGBTQ+ Culture Center. The change came about as part of a process that involved input from students, faculty, staff and community partners. IU Bloomington Provost and Executive Vice President Lauren Robel approved the name change following a committee review. “IU has been staunchly committed to providing services for LGBTQ+ students, but I think this name change illustrates how welcoming and inclusive the university is, and how invested we are in ensuring students of all backgrounds can find a sense of community on campus,” said James Wimbush, IU vice president for diversity, equity and multicultural affairs and dean of the University Graduate School. The LGBTQ+ Culture Center, a program within IU’s Office of the Vice President for Diversity, Equity and Multicultural Affairs, will retain the same breadth of services and programming for students, including events, group activities, ally training, an extensive library of resources and partnerships with a wide range of campus partners. The center is located close to fellow Office of the Vice President for Diversity, Equity and Multicultural Affairs’ programs such as La Casa Latino Cultural Center and the First Nations Educational and Cultural Center. Before the name change, a comprehensive survey was distributed to IU students, staff, faculty and community partners to gain insight into concerns and preferences. The survey was conducted by Jamie Bartzel, LGBTQ+ Culture Center office supervisor, and an IU graduate student. “This name change really marks a shift in culture and a shift in our role on campus to not only attend to crisis situations but also serve as a community gathering place and a place to openly celebrate a culture,” Bartzel said. The LGBTQ+ Culture Center will host the Legacy Wall, a traveling exhibit featuring mini-biographies of LGBTQ+ people, at IU Bloomington beginning Jan. 24, followed by a GLBT Student Support Services Office alumni reunion Jan. 27. The name change will be announced at both events.